Our membership in NPAworldwide enables Premium Consulting to have access to vacancies and top skilled candidates interstate and globally. 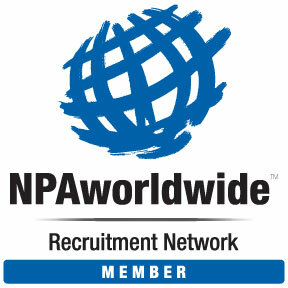 Clients and candidates all benefit from our professional network of recruitment partner firms. Local knowledge, prompt service and global reach. Premium Consulting provides professional and practical recruitment consulting advice with services to suit your timeframe and budget. We deliver recruitment results through working with our clients, gaining long-term sustainable relationships and understanding their business and their unique culture. Exclusive recruitment and search yields a 110% focus and attention on your organisations assignment, which is founded on a mutual commitment and trust to work together for an effective outcome and is thus, the most effective method of recruitment. When a client contacts a number of agencies the chance of making an appropriate match is genuinely diminished due to lack of time and information that undermines the integrity of the recruitment process. When multiple agencies are briefed, it is often the case of providing CVs on the client’s desk in the shortest time frame, and as a result, shortcuts can be taken and a quality process is negated. Recruitment Partial Services provides organisations the flexibility to pick and choose services that best fit their situation. Here, clients are only invoiced for the services or modules that they require, and billing is based on activity not on the end result. It is similar to paying for the services of a solicitor or accountant, where you are represented with professional services. This can prove to be a beneficial process when the client chooses to be actively involved and prefers to conduct part of the process, such as reference checking or advertising. Partial Services also proves worthwhile and very cost effective for multiple recruiting assignments. Whilst technology has provided the opportunity through databases to “warehouse” candidates, the power of a well-constructed advertisement to attract good candidates should not be underestimated. An advertisement is an opportunity to showcase a position to attract both active and passive job hunters not currently looking for a new position. We can assist with writing and placing advertisements to attract quality candidates. We also advise on the current market and trends. Our team has the capacity to service your recruitment needs irrespective of location. While our offices are located in Brisbane, the Premium team has successfully recruited for many positions in New South Wales, ACT, Victoria, Western Australia, South Australia, Queensland, regional locations, New Zealand and other overseas locations. What is Genesys Psychometric Assessment? A proven way to reduce the risks associated with staff selection and development is the use of quality psychological profiling and ability testing. In today’s competitive market for skills, many leading organisations now invest time and money in the thorough assessment of their workforce to assist in both the development and selection of their staff.